The Mega Monster Obstacle Course has two crawl through holes so racing won’t be a problem! 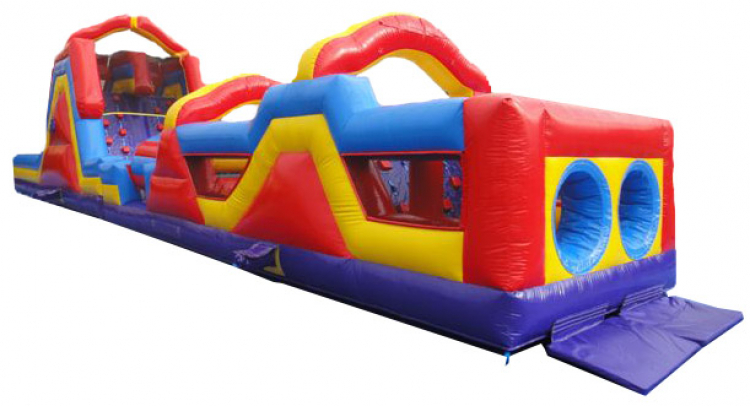 This is followed by a double climber and a 5 foot high double slide, inflated vertical pop ups and horizontal logs, finishing off with a second slide that is 10 feet high at a 45 degree angle. 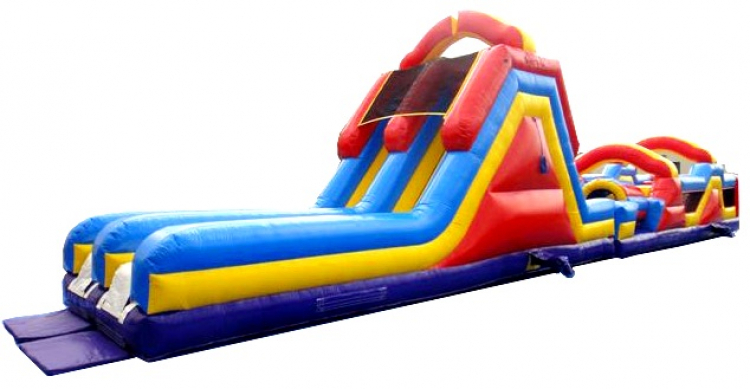 Perfect for birthday parties, church events, or just to enjoy some fun in the sun! Client will need to provide: 2 Dedicated 15 AMP Power Outlet per blower within 75’ of Equipment Setup Location. Heavy Unit- A minimum of 42″ wide gate is needed to access set up location.